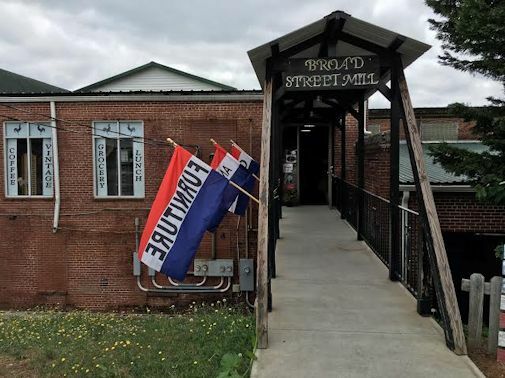 We made a trip to Brooks and Griffin again this weekend to explore the Broad Street Mill shops in Griffin. We stopped along the way in Brooks at the little thrift shop run by the Methodist church. 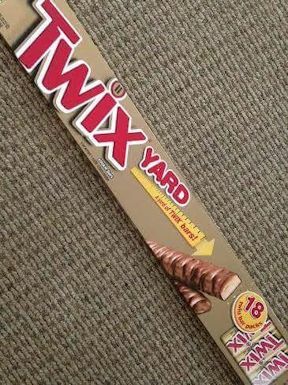 I was their big winner of the Saturday drawing and I won a three foot long Twix bar. I’m sure Davis and his friends will help with the eating of my giant treat. It’s funny how we love to win things. The snooty psychologists say that winning the lottery won’t make us happy, but I have to disagree. I was pretty happy with a giant candy bar. Can you imagine my thrill at winning something that wouldn’t make me fat or give me cavities? I don’t play the lottery much. Mostly just when it is huge and everyone else is playing it or when my coworkers buy a bunch of tickets together. As one friend pointed out, if you don’t buy a ticket and then we win, then you will be the only one left working here. Talk about a depressing Monday. Yes, I dug out my cash. It would be hard to continue teaching if I won the lottery. I know a lot of people continue on with their normal lives but I don’t know if I would even go back for my purse if I won because I’d be out of there so fast. No reflection on the job. It’s just that my inclination is to get a new car and a pool and a new house and those lines can get pretty long at the lottery luxury store. Just kidding. I don’t even know what I’d do if I won the lottery. I think those are dreams that are often better left undreamt. The online dictionary says undreamt isn’t a word, but you know what I mean. We can sit around and dream about things that will never happen or we can make some fun things happen with the time and resources that we have. I choose the latter. 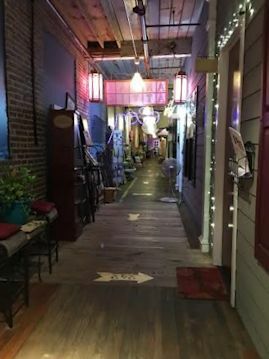 So, one fun thing we did was go Griffin, GA and check out some of the stores. 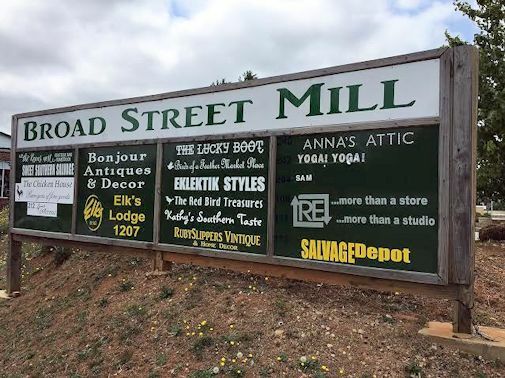 The Broad Street Mill is an interesting collection of antique stores, a salvage store, and gift shops. There are about 15 businesses altogether including a restaurant. 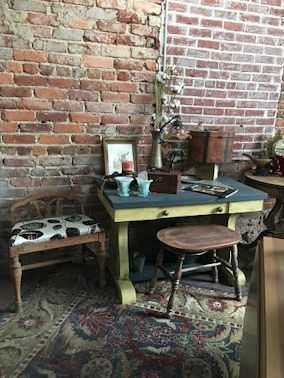 I loved the wide stool at the desk. I liked both of the seats actually. I played school for a while with my little buddy. I need to keep in practice since it’s summer. He listened attentively with his giant ears. 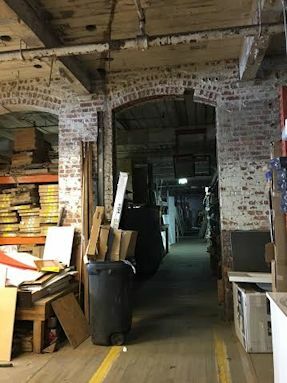 The salvage store was huge and had furniture, building parts, appliances and fun stuff. 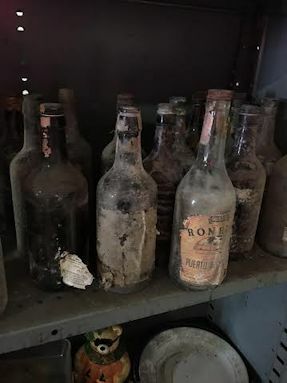 By fun stuff I mean pirate rum bottles. There was no sign but I’m thinking these were from Blackbeard himself. 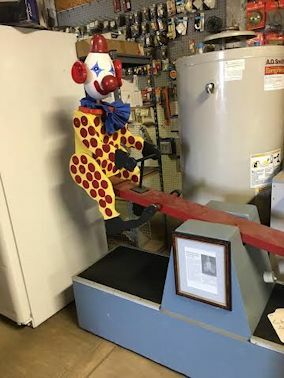 Clowns on a teeter totter. There was a sign on this one but I didn’t read all of it. Came from a store or a fair, I really don’t remember. 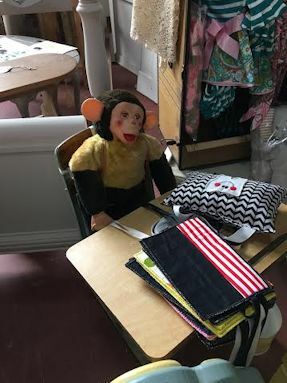 I guess I need to go back to class with the monkey and work on my reading comprehension and recall. 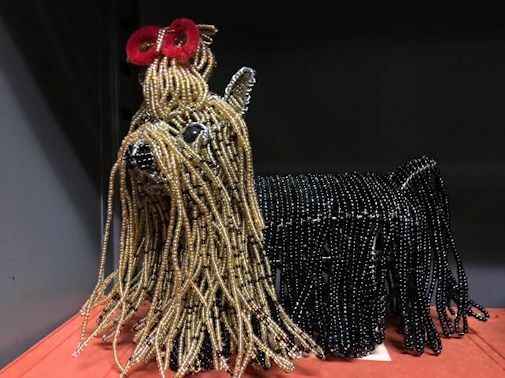 And my personal favorite, the beaded Shihtzu. Who comes up with this stuff? I’m guessing it’s someone who won the lottery and was looking for ways to use the money! I think I shall call her QuickPick. I didn’t buy much but I did find a few treasures. Sorry, QuickPick did not make it in the cart. Maybe after I win the lottery, I’ll go back and claim her. Maybe. You, MA, and Kate would make a terrific trio shopping antique malls….maybe, you’d let me and your mother come also!!! Absolutely! We can’t be the Abney Shopping Posse without everyone!